"A moral fable with deep-tolling resonance." Michael Jacobs, a talented but obscure New York City filmmaker, has just watched his third film flop at the box office. With few options available, Jacobs is tempted by the prospect of easy cash when Sebby Laslo, his producer, makes a one-time offer. Laslo plans to fix a horse race - but his gambling debts have left him untouchable and he needs someone he can trust to be the public face of the operation. Jacobs, hoping to repay an old favor to his friend, agrees to help. When the plan fails, Jacobs, heavily in debt, is ensnared by a violent underworld. In the inevitable reckoning, Jacobs and Laslo become hunted men - and only one of them will escape. Keith Dixon's second novel is a morality tale of stunning resonance and symmetry. 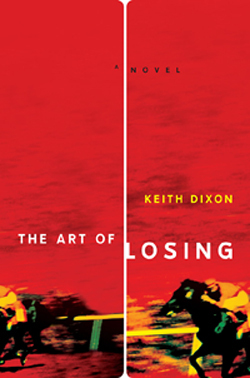 The Art of Losing captures the corrosive nature of greed, the terrible power of recklessness, and the consequences the erupt when those forces meet.